Branded content channel 4ME, which datacasts shopping, health and religious content via Seven, has had its contract cancelled after production house Brand New Media called in administrators. Brand New Media are joint venture partners in 4ME and HealthyMETV with Network Seven and Prime. Mumbrella reports channel contracts were terminated at midnight last night after the company called in administrators Dean-Willcocks Advisory, with six staff made redundant. Managing director David Borean told Mumbrella that while the company had a number of successful ventures it had been dragged down by a “couple of the lesser performing parts of the business”. Borean told Mumbrella “all assets at this point are under review” and that they were exploring a “number of possible options for all staff” which includes selling off parts of the business, but said its future was now “in the hands of the administrators”. Operations in Melbourne, Brisbane and Singapore are not affected by the administration, he added. 4ME has been datacasting since December 2011. Seven ended Fresh Ideas TV in December 2014 ahead of its Racing.com channel. This is my favorite channel. Great car shows, Australian history of our cars, some really good informative products. Not at all just a shopping channel. People who have commented negatively have probably never watched it. There is an enormous lot of people that watch this channel, it’s the only one thats different. Hope it comes back. I feel horrible for those who might lose their jobs. But I cannot weep for the demise of the shopping channels. Like EXTRA, should just get rid of it. As I said previously l simply delete all of these stupid channels and l help family n friends to do the same. I would rather see a history or doco channel occupy the space. 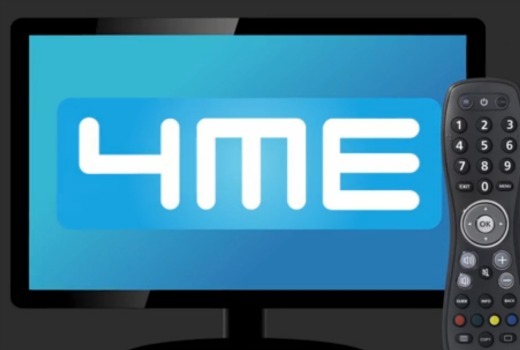 With the demise of 4ME viewers shouldn’t get their hopes up about 7HD, there’s no money in it! Somebody else will come along and take up the lease for the channel. 7HD will arrive eventually, perhaps when everyone has a smart TV with the latest H.265 (HEVC) decoder. If the 7 Network ditch their cr*ppy shopping channels they can open up space for 7HD. I’m sure the 5 people who actually watch 4ME will be sad. But otherwise – have wondered the same – who really watches them? Then again I once received by accident a very detailed ratings report revealing over night home shopping on Seven, Nine, Ten, GO! (at the time) being watched by as much as 20,000 viewers! They must get some return (as in make actual sales) otherwise we wouldn’t have so much of them! Save some bandwidth and do away with it !! These so-called “data casting” channels far exceed what they are supposed to be and do. They are nothing more than channels of non-stop commercials, or “branded” content like the evangelists soliciting money to buy another corporate jet. agree, wonder what will replace it ? Does any one really watch these. Channels? I simply delete them all from my channel list. I can’t see how they pay for themselves? There are such things as shopping addicts-it’s an utter disgrace that a limited public resource such as the broadcast spectrum is wasted in this way. That’s lawyer-speak. All of the digital channels are broadcast as data streams within the 7 MHz wide band allocated to each network in each broadcast area. I don’t see the point of Home and Away in HD but sport would be nice. “Datacasting” was just a loophole to overcome the limit of standard definition channels (a limit that doesn’t even exist anymore). As it stands, there is no regulation to stop Channel Seven closing down everything and replacing it with 15 shopping channels at a minimum video quality.